Look back and smile at your treasured memories, thanks to the 50% off photo frames and albums offer. There are endless amounts of photo frame shapes, styles and sizes available in the half price sale at Boots. 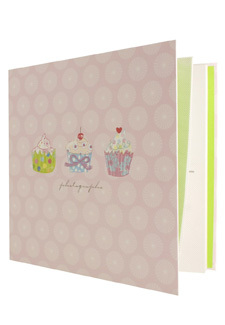 Cute cupcake pattern albums are now under a tenner at just £7, reduced from £14, while the flower pattern holds 140 photos for just £5! Maybe you need somewhere new to keep all the photos from your wedding day. We love the elegance of this Mr & Mrs album design. For a modern edge, display your photographs in this wood-effect collage frame – now only £7, it holds different sized photos, giving you the chance to get creative! With Mother’s Day fast approaching, filling one of these albums with a few special photos will be a truly touching gesture. The offer ends 10th March.